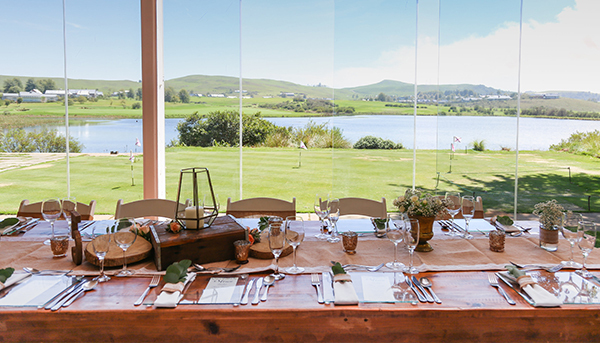 Located in the Natal Midlands, Gowrie Golf Estate provides one of the most romantic settings. From small and intimate occasions to the larger and more extravagant events, Gowrie Golf Lodge is the venue of choice. We guarantee that your wedding will be truly memorable as attention to detail is central to our operating ethos. The beautiful glassed-in veranda, overlooking our immaculate golf course and lake is a truly exceptional venue for the reception. 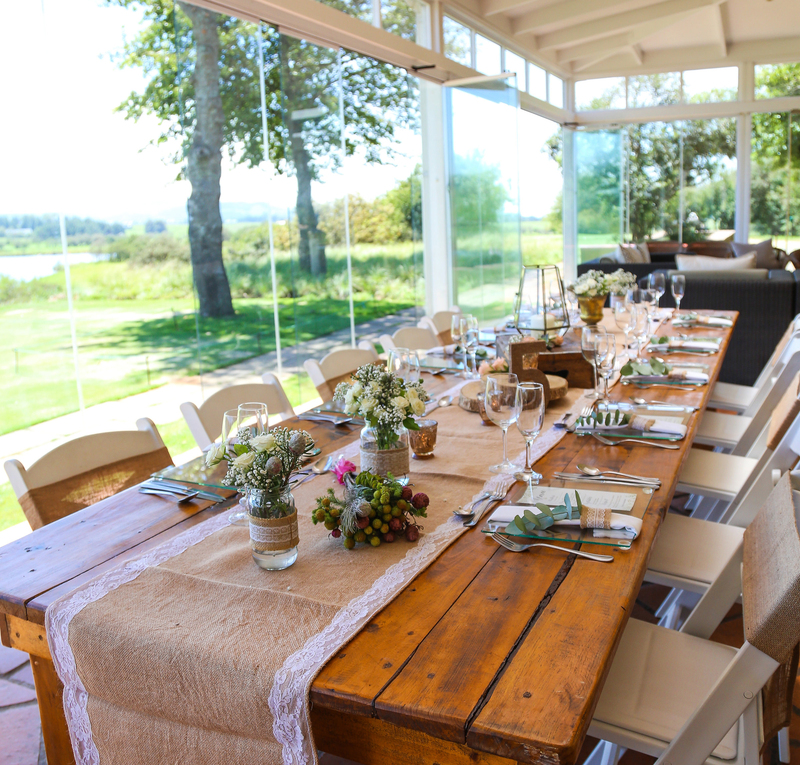 Guests can enjoy sundowners & canapés while the photographer is capturing those special moments of the day! We offer simple, delicious menu options, however an approved outside caterer may use the Gowrie kitchen and supply their own service staff. We have a fully stocked bar and are able to provide a wide variety of wines for your occasion. Should you wish to being in your own wines, corkage will be charged. We offer customised wedding packages and are able to accommodate up to 100 people. The venue hire charge is for the exclusive use of the clubhouse veranda, lounge and bar facilities. We offer a breathtakingly beautiful outdoor setting that overlooks a serene lake, creating the perfect backdrop for the ceremony on your special day. Should the weather be miserable, the lounge in the Gold Club may be used. Alternatively, there are beautiful chapels in the area, namely Michaelhouse and All Saints Anglican Church. Our menu options and cost can be discussed with the wedding co-ordinator. Gowrie will provide waiters and service staff which is included in the venue hire. If an approved outside caterer uses Gowrie kitchen, it is imperative for the chosen caterer to understand that they provide their own service staff excluding the bar, and that the kitchen needs ti be left in the same manner in which it was received. Decor is not included. The venue hire is fro 100 guests, however should there be extra guests, a fee will apply for the extra items required such as chairs, tables, cutlery and crockery etc. An extra charge will be incurred for any breakages and all weather tents, if required. Any extra items such as tables for the DJ, cake stands, or trestle tables can be arranged at an additional cost. Our wedding package can be customised to cater for 2-100 people. Gowrie Farm is primarily a golf establishment with homeowner and non-homeowner golfing members. We limit the number of weddings at Gowrie Farm so as not to disrupt our members right to the golf course and their playing time. However, on the occasion that we host a wedding the golf operation will run normally for the afternoon field on Saturday with a private lounge open for those coming off the golf course. Should the wedding party wish to block the field, rates will be supplied. This is for the exclusive use of the Clubhouse veranda, lounge and bar facilities until 12pm. It includes staff to set up before & tidy up after wedding in preparation for normal trading the following morning. Also included in the hire fee are 10 seater round or rectangular tables, standard chairs, white table cloths and white napkins, basic standard cutlery, glassware and crockery. Accommodation in 10 luxury en-suite double rooms, sleeping 20 people is included. The last round is called at 12pm and the closing time is 12:30am. Thereafter an additional charge of R1000 per hour is levied. Corkage is charged at R30.00 per bottle. 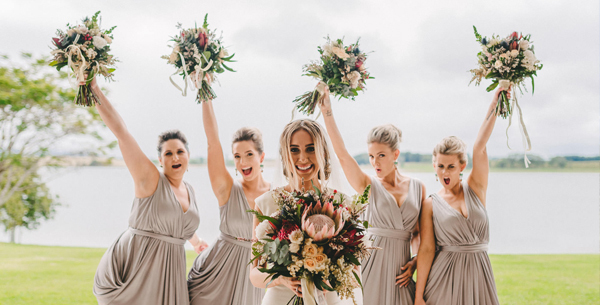 If a bar tab be required, a limit if any, as well as the details of the person responsible for settling the tab must be communicated to the Gowrie Farm wedding co-ordinator. Set up begins from 2pm on Friday afternoon from the Bar side till the Halfway store doors. The remainder of the Veranda will operate as usual until 10am on Saturday morning to allow for breakfast & golfers halfway service. Thereafter the set up can be completed.